PrestaShop Megashop - For all eCommerce areas! Download here! 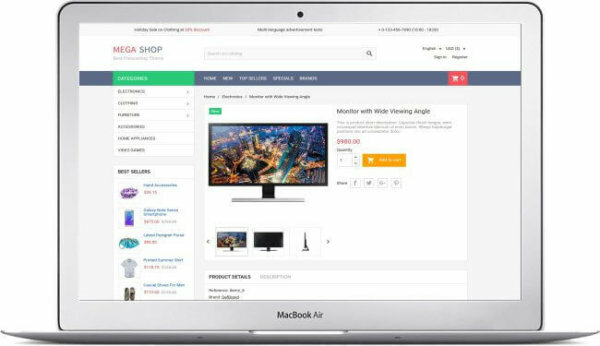 PrestaShop MegaShop theme is a responsive topic that you can use for any area in eCommerce. The topic is simple, clear and clearly structured, and your customers will be able to easily find their way into your shop. In addition, the theme has all the features you need for successful onlinemarketing and looks great on all devices! Easy configuration of the shop with the desired colors with the configurator module. Completely multilingual, including banners and other custom texts. Uses Font Awesome (for PS 1.6) and Google Material Icons (for PS 1.7) for sharp icons on your smartphones / tablets. Includes user-friendly documentation with screenshots. No core files were edited. 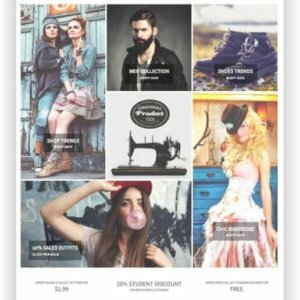 Customized texts for promotions or offers. Ajax Quickly find the right products. Vertical mega menu for categories. Optimized menu for mobile phones / tablets. Ajax Cart, which makes the checkout process smooth and fast. Additional top menu to display various links. Animated sliders that can be linked to any page, category, or product. 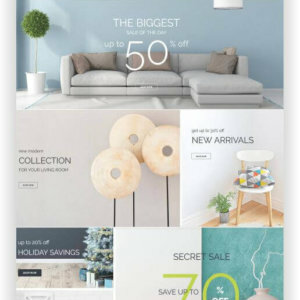 Add unlimited banners for promotions or deals. Carrousel for special product categories. Pop-up notification when product is added to cart. Carousel for Blog (only available in PS 1.6). Carousel for brands (only available in PS 1.7). Subcategories Raster with her pictures. Product filter, in order to quickly find the product you are looking for. Grid or list view for displaying products (only available in PS 1.6). Sort products by price, name or reference. Compare products based on its features, price, ratings, etc. (available only in PS 1.6). Find here more features and the theme preview! 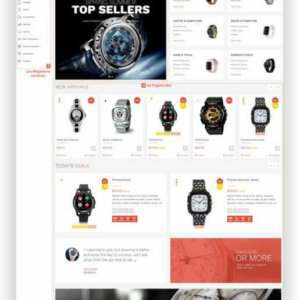 Unicus Responsive Prestashop for technic Theme is a wonderful theme in Prestashop 1.7 with full online store feature. It is designed for technical and electronics shops, as well as watch shop, accessory shop and thus shops. Imagine a high-quality PrestaShop 1.7 template for your wholesale online business with clean and straightforward design, jam-packed with premium features and having a huge set of editing tools and UI elements. ImPresta PrestaShop Cosmetics is a fantastic PrestaShop template with which you can build a clear and clear Cosmetic Onlinestore! The template comes with 6 ready-made layouts! Thus, you can immediately start your products and get online sales! 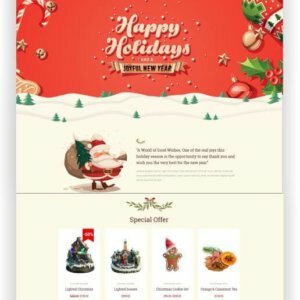 Create a Christmas shop with WooCommerce. Sell Christmas products – gifts, packaging ideas and more! This topic comes with free plugins worth more than 200 Dollars! Looking for a flawless solution to refresh the look of your furnishing online store? 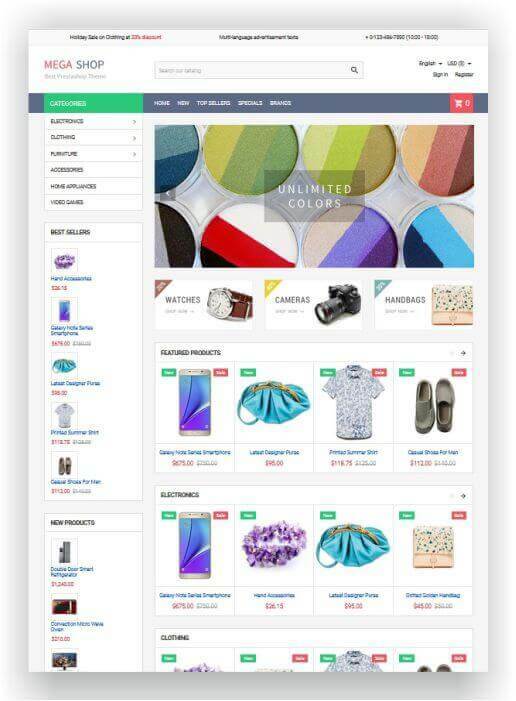 PrestaShop Interior Template Decorta theme was created to help you succeed in selling online. 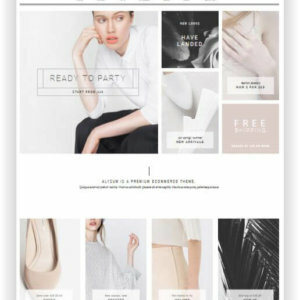 PrestaShop Fashion & Lifestyle Theme Alysum is a perfect solution for small and medium businesses. The theme has 7 ready-made layouts to choose from and is available in versions 1.6 and 1.7! 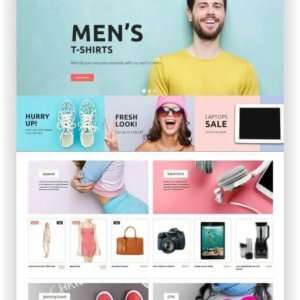 GoodStore WordPress Multitheme – with 22 ready-made templates! 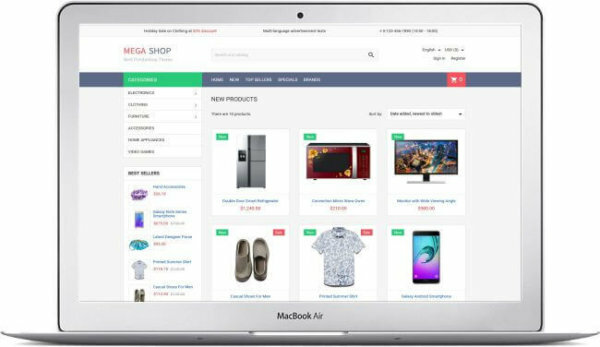 This allows you to start your Onlineshop immediately. Choose from the templates, add your products and ready!